Imagine that you hold in your hands the power to change your reality and that you are capable of creating your highest vision and desire. Imagine that life is way simpler than what you think. Then….you are able to Manifest Moment To Moment the life you truly long for. Many of you know that I have co-written a book with my business partner Dr. Carrol McLauglin. And so here we are! 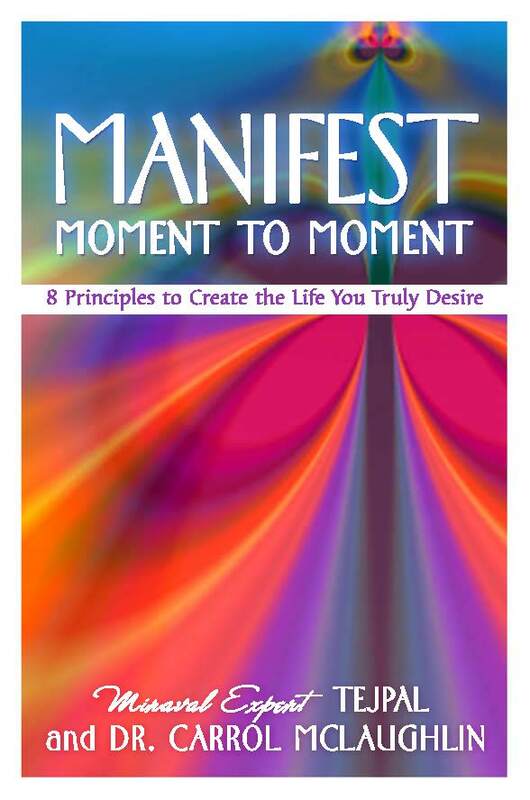 Our “Manifest Moment To Moment” book is published by Hay House and will be released June 4th this year. 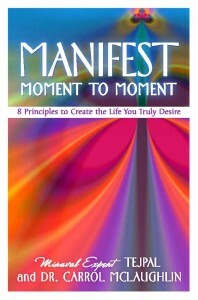 Check out our website, www.ManifestMomentToMoment.com, the videos, and the claim it exercises! We hope that you will appreciate the spirit , insights and tools we have to offer! To respect your space, you will get an insightful newsletter once a month from this new website. I will scale down from the Tejpal-Inspires website and send one newsletter once a month as well. Feel free to give me some feedback, I would love to hear from you! As I had my birthday this week, the day prior to my date of birth, I received some clear insights: “Tejpal, the theme of this year for you is about surrendering”. And then I received a few directions about which spiritual practice I need to focus on. And so here I am…pondering and assessing the different parts of my life. Every area of my life will beneficiate from my ability to surrender, no doubt. Surrendering is for me the most gracious intent as it calls on flexibility and spaciousness. If I create more space then creativity can truly happen. If I am really creative then there is a way no matter how many blocks I may encounter in my life; I can always bounce back. And quite frankly in life we don’t need to be sure we are doing the right thing to be happy, we need to know we can bounce back so that we feel more secure inside to move forward and listen to our deepest desire. What is your theme for your birthday year and how will you approach it? Take a complimentary session with Tejpal.